I say all the time that I don’t like to pick favorite products. And, it’s true. Besides this brow pen and my go-to pink lipstick, I’m pretty open to all sorts of makeup. But, that doesn’t mean I don’t fall in love with products from time to time. They often become my new favorites. This foundation stick from stila was a shocking favorite. When I first got it, I thought, “how great could a foundation stick really be?” I also thought, “foundation sticks have come and gone, why are they back again?” Well here’s the thing, when you try the new stay all day cover from stila, you kind of get why it’s back again. Coverage – It gives amazing coverage. You can build to full coverage if needed. I prefer using a brush if you want fuller coverage so it doesn’t look cakey. That’s what I did in this before and after makeover below. Less Time Concealing – I seriously love that foundation sticks double as a large concealer. If you have acne prone skin, it’s much easier to cover the spots with this type of product than attempting to cover all of the blemishes with a small concealer stick. 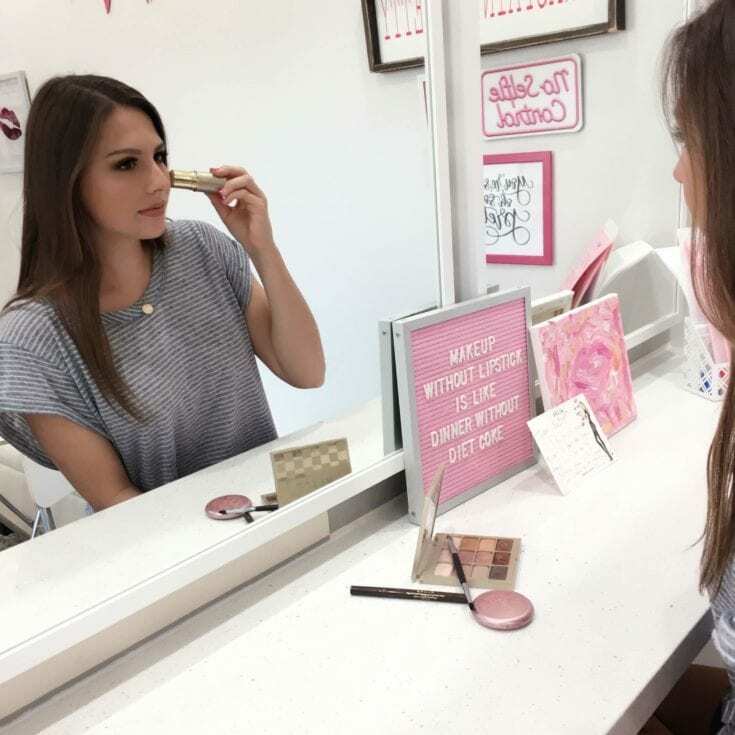 The foundation is also lighter weight than the concealer, so it is better for the skin. Versatile – You don’t have to use this product for full coverage if you don’t want. You can swipe it on your face and blend it with your fingers for quick and easy coverage. When you want to look a little more polished, simply add more product. Photo Friendly – My biggest worry about the foundation stick was that it would photograph cakey looking or flat because of it’s denser texture than a liquid HD foundation. However, this is not the case. I have used it multiple times, and it always photographs beautifully. I’m a huge advocate in making sure that foundation is right for your needs before rushing out to buy it. So here’s how to know if it’s a good match for your needs. 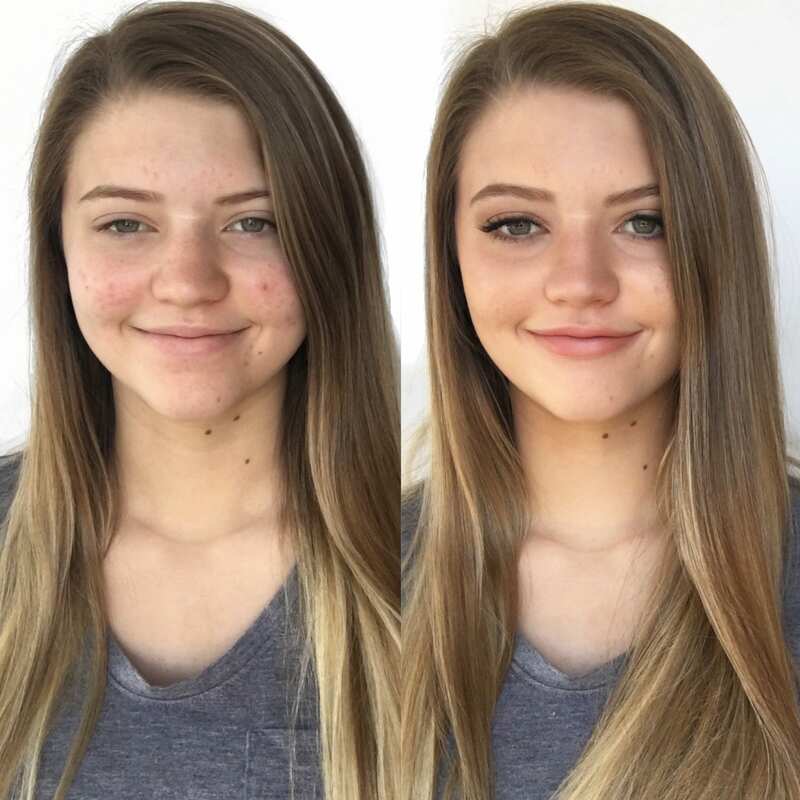 I love it for teens or young adults looking for versatility with their makeup. I also think it looks awesome on people who have oily skin. Just make sure to use the brush so the product isn’t sitting in your pores. It’s ideal if you are more simple with your makeup and are looking for something easy to use. If you are dry, the product might look drying on you. You can always try a primer underneath to combat the dryness and help the foundation look better. Or, you can look for another foundation. I do not prefer this type of foundation on women who are concerned about fine lines and wrinkles. Instead, try stila’s other foundation. If you do have acne and want to use this product, make sure your blemishes are not dry or flakey. Apply moisturizer on any dry areas before using the foundation for the best results.